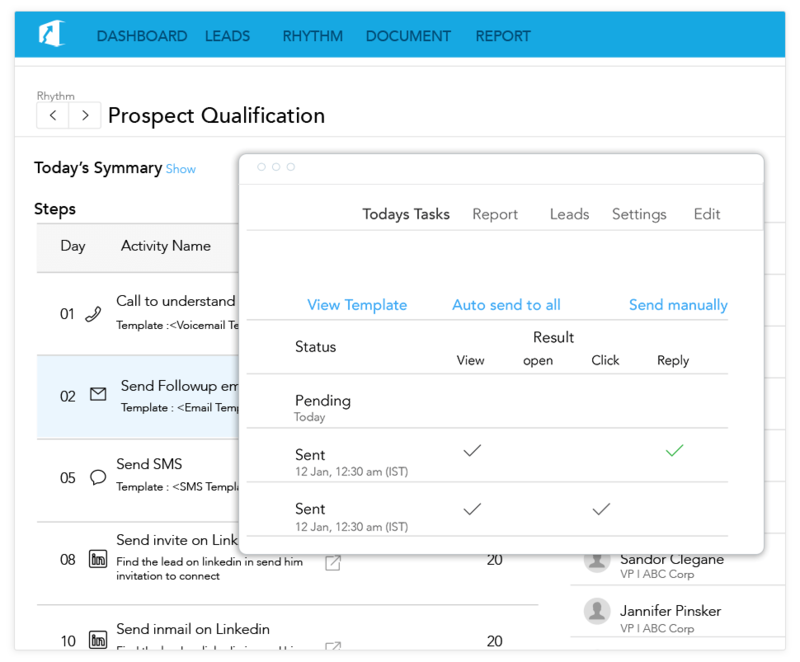 Prospecting Cadence in Inside Sales Box is not at all complicated. The Platform assists in accelerating sales with the right mix of Email-Call-Social. It allows sales team to develop habits that are efficient and result driven. A crucial element in sales, following-up with Inside Sales Box is a breeze. 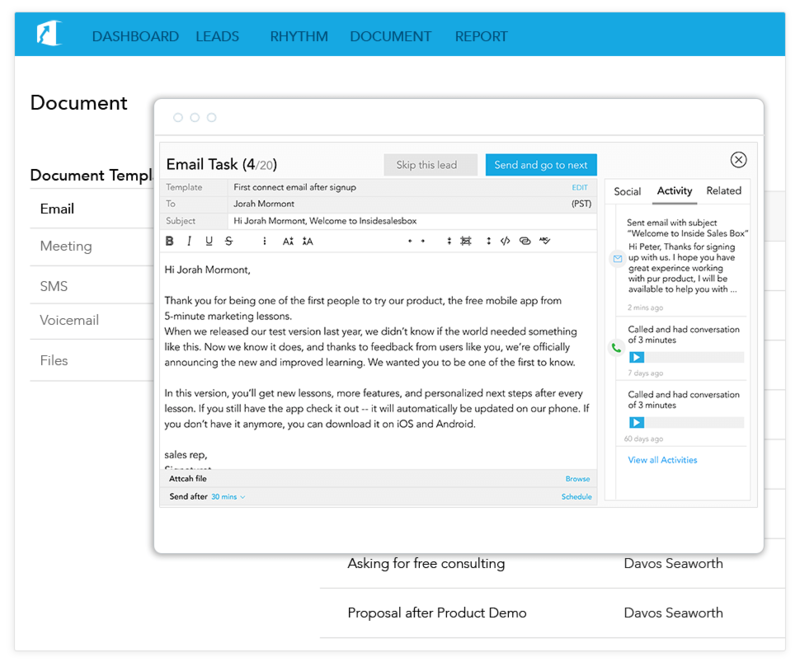 Select pre-built email templates and voicemail for correspondence with prospects/persona. No more omissions, delay in response or elimination of touch points. Add a personal touch by drafting customized email templates. Auto login makes easy to check and send emails. 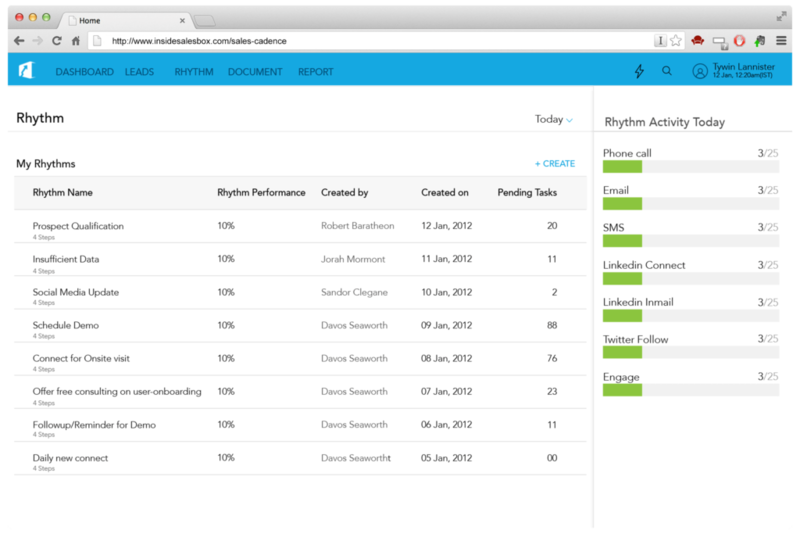 Configure Email within Inside Sales Box for fast and quick email management. 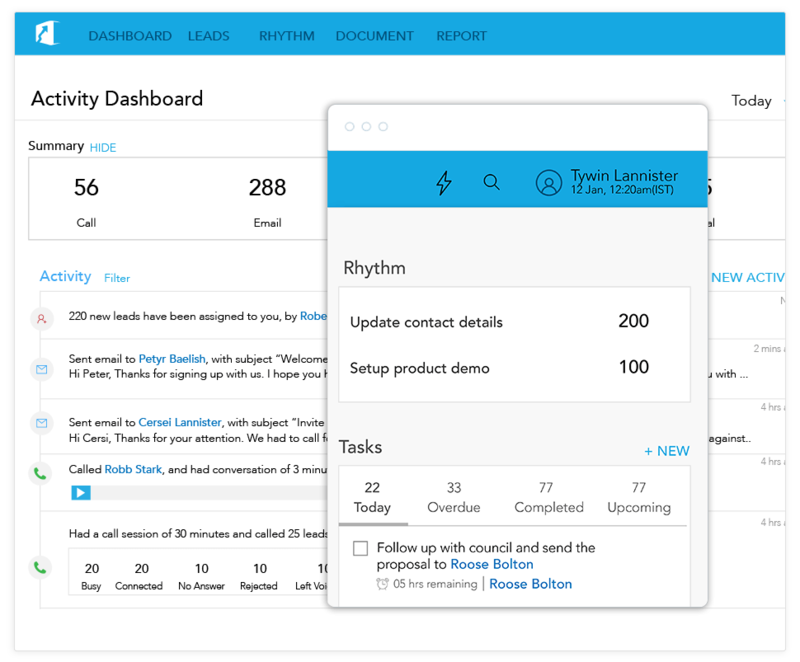 Get a view of the tasks for the day in a single shot. Prioritize calendar, exectue similar tasks with complete focus on sales prospecting. 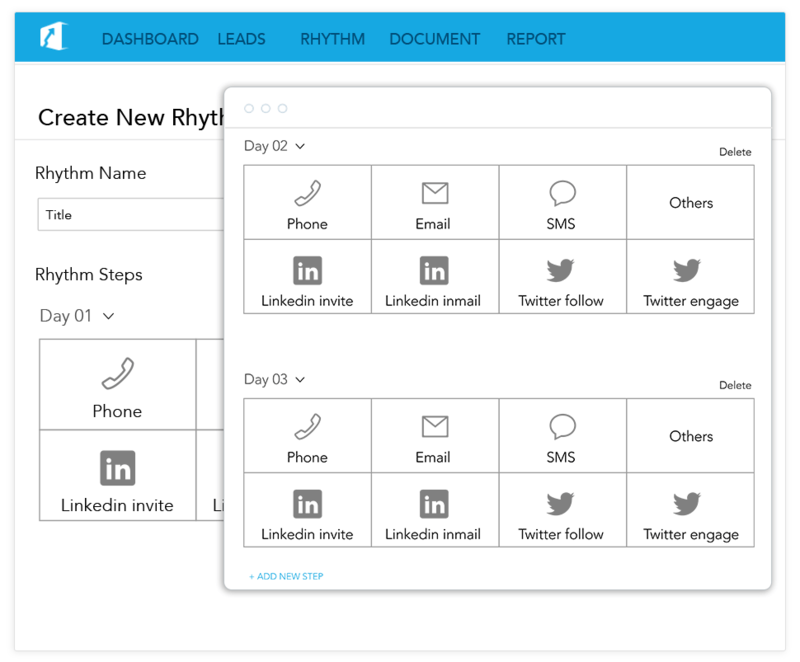 Track all the Social Media activities within Inside Sales Box. From Social Prospecting to Pre-targeting to Engagment, get personal with prospects with a scientific social selling cadence. 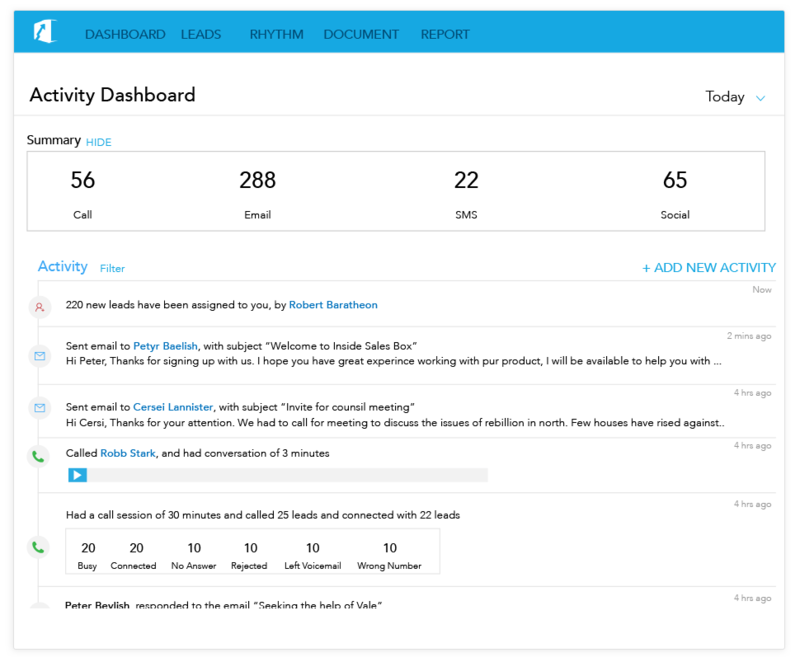 Inside Sales Box automatically minimizes mannual activities and double connects. Allows Reps to concentrate on qualifying leads quickly. Measure performance with A/B testing. Analyze with follow-up process works best. 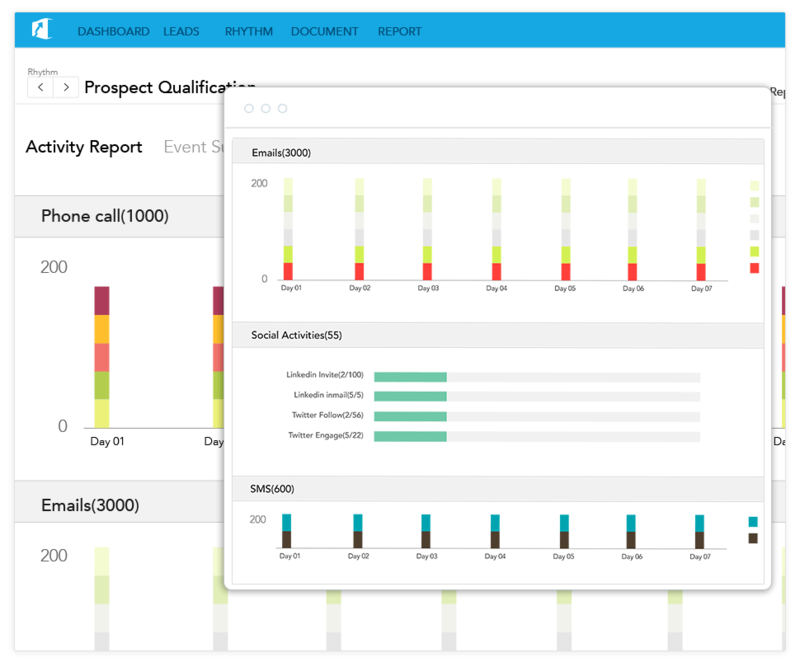 Prospecting cadence no longer based on guesswork but driven by analysis and numbers. Always stay a step ahead of your prospects, get started now !